1,It an interactive equipment between the operators and inshuttle car system. 2, Multi-orders picking is available. 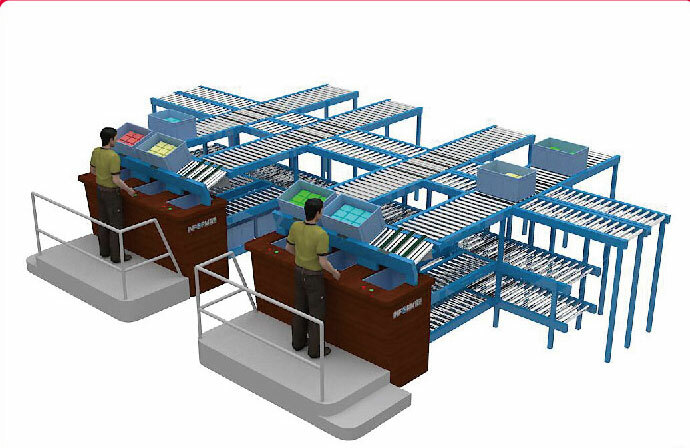 3, The operators donot need to leave the position, the required items are continuously moved to the station arranged by the intelligent sequence software and control system. It is avoided the possibility of human error, the efficiency is greatly optimized. 4,The order picking speed is up to 1000pcs/hour, it is used to the high speed picking solution specially.